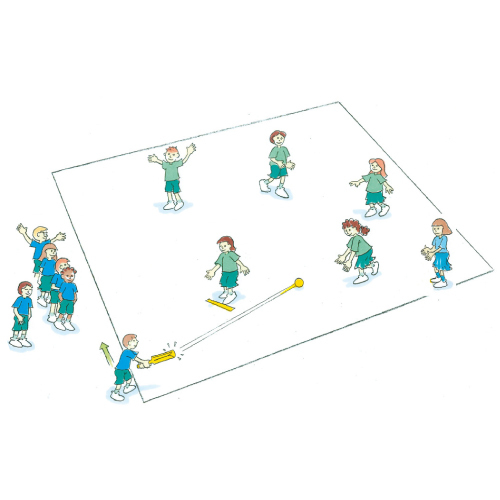 Diamond ball is a modified game of softball that builds on striking and fielding skills and encourages teamwork and thoughtful placement of the ball. It provides a good introduction to softball. Form 2 teams of 6. The batter hits the ball off the batting tee into the field and runs to 1st base. The batter may continue running until the ball is thrown by the fielding team in the direction of the home plate but must stop at the next base once the ball is thrown. All players in the batting team bat and then change over with the fielding team. Where is the best place to hit the ball to score the most runs?